Perfect for your sports champion! 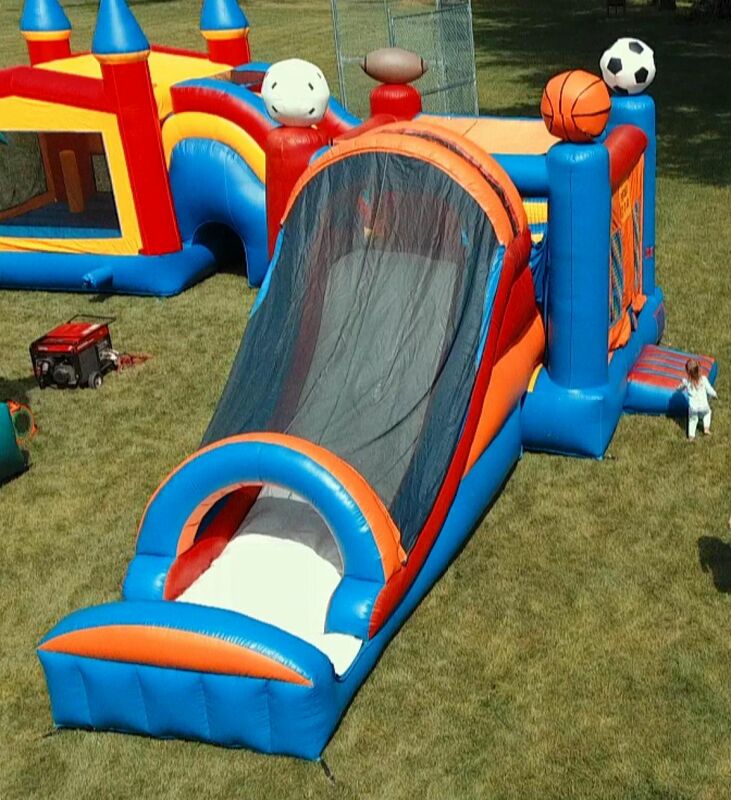 This Sports Themed Bounce House features a safety step, bounce house with mesh walls & a mesh enclosed slide for hours of fun!! Let your little champ become a champion along with his/her fellow sports fans! Time for your little All-Star to get his/her game on!